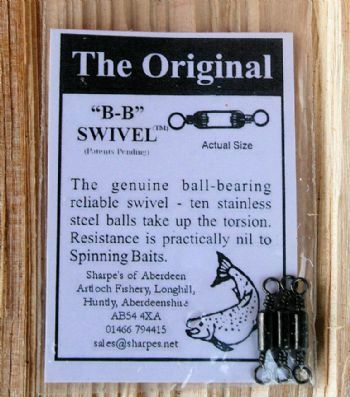 These are the original Sharpe's of Aberdeen BB swivels. Ten stainless steel ball bearings take up the torsion creating practically nil resistance. They are considered by many to be simply the best. 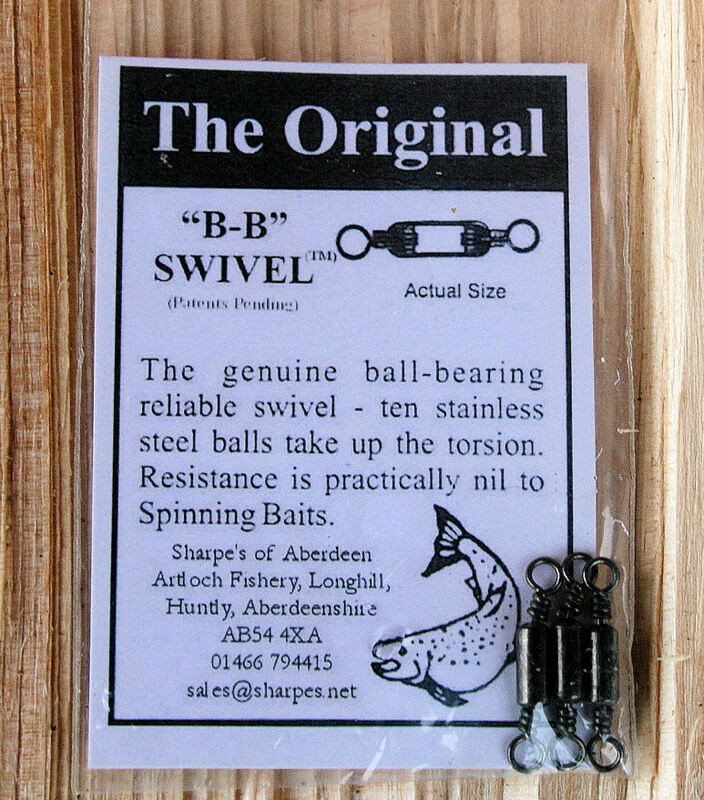 5 Packs of 3 x BB Swivels.